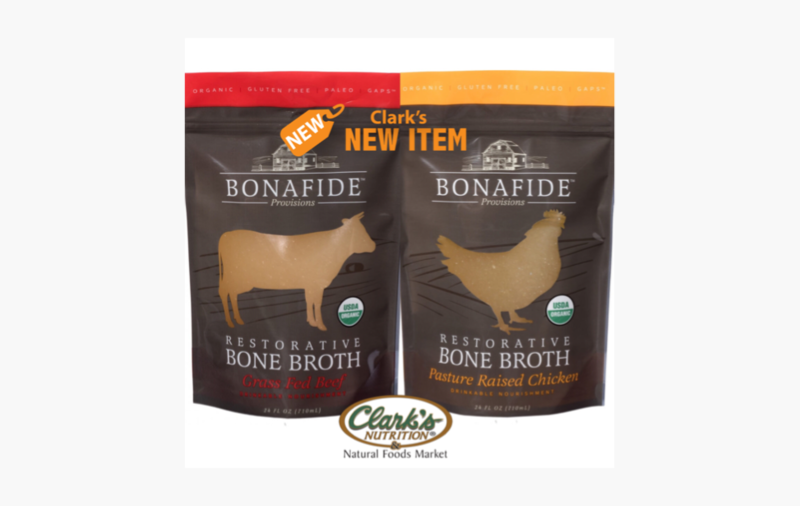 Restorative Bone Broths; Organic Grass-Fed Beef and Organic Pasture Raised Chicken flavors. The chicken bones are slow simmered for 24 hours and the beef for 48 hours, in apple cider vinegar which acts as a magnet to pull the vitamins and minerals from the bones. Bonafide is family owned and operated with a mission to provide restorative, organic, real bone broth that people use to heal and nourish their bodies. These broth's are Paleo Friendly, Whole 30 Approved, Gluten-Free, contains NO-MSG and is packed perfectly in a BPA-Free bag.